Play it again, Sam! We're reprising our table read of JOSS WHEDON'S WONDER WOMAN for WHEDONOPOLIS 2016, a convention that celebrates all things Joss Whedon! 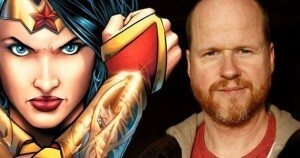 Last year, we got our hands on Joss Whedon's script that he wrote in 2007. We performed the table read at The Comic Bug last December with actress/Wonder Woman cosplayer Jennifer Wenger in the starring role. Steve Trevor was brought to life by Curtis Fortier, who also blocked out and directed the piece. Narration is provided at a lightning pace by Adam Marcus and there is sound design and musical score provided by Chris Saunders of the Thirsty Crowes! The cast is rounded out by Rafael Navarro, Eddie Jordan III, Kate Enggren, Tracy Drolet, Scott Koblish, Debra Sullivan and Mike Wellman. The entire cast returns to bring WONDER WOMAN to life for attendees of WHEDONOPOLIS 2016 in full costume! This is a fun and rare opportunity to see what COULD have been! Tickets for Whedonopolis 2016 are $20 for adults and $15 for kids under 13. Check out their website www.whedoncon.com to see all the exciting guests and activities they have planned for the weekend!